A home aquaponics system in Tokyo just starting to show off it's potential. Photo courtesy of Japan Aquaponics. The March 11th earthquake is well over, but for those living in Japan's north the recovery effort isn't. Work in Tohoku continues steadily despite peaks and valleys. Rebuilding is often a chance to try new ideas or head in a new direction. 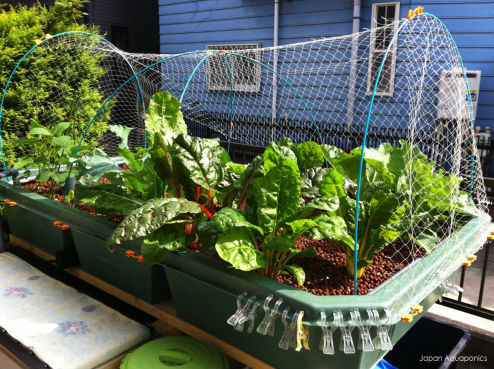 My most recent article over at Eco+waza talks about aquaponics - an innovative system not unlike satoyama in some ways - that could be an exciting alternative for growing food sustainably in Tohoku. It's not infallible, but it is hopeful. Give it a read and see what you think.